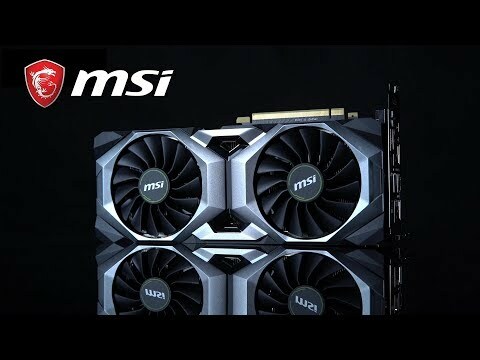 MSI GEFORCE RTX 2070 VENTUS GPU The MSI NVIDIA GeForce RTX 2070 Graphics Card is driven by the new NVIDIA Turing GPU design and the revolutionary NVIDIA RTX platform, the new graphics cards bring together real-time ray tracing, artificial intelligence, and programmable shading. With the MSI GeForce RTX 20-Series gaming cards you get an extreme gaming experience with next generation graphics performance, ice cold cooling, and advanced overclocking features with the all new MSI AfterBurner. 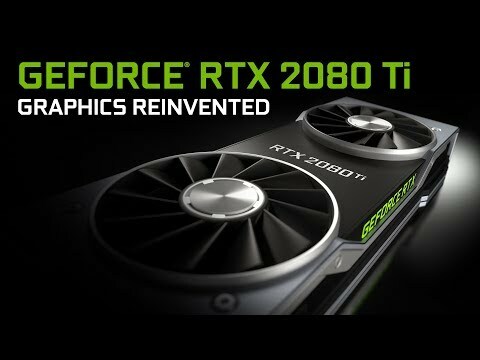 The new NVIDIA GeForce RTX GPUs have reinvented graphics and have pushed beyond the previous generation’s limits. This is the ultimate efficient PC gaming experience. INDUSTRIAL SHAPE FOR ANY BUILD A fresh new dual fan design from MSI, the RTX 2070 VENTUS proudly displays its industrial shape and hard edged design in neutral colours so that you can fit it into any build whatever colour design. IMPROVED COOLING PERFORMANCE Using two of the award-winning TORX Fans 2.0, MSI VENTUS graphics cards provide years of top-notch cooling performance. IMPROVED DISPERSION DESIGNDispersion Fan Blade has a steeper curved blade which accelerates the airflow, increasing its effectiveness. TRADITIONAL DESIGNTraditional Fan Blade pushes down a steady airflow to the massive heatsink below. MORE EFFICIENT COOLING Up to 6mm thick copper heat pipes at the bottom maximize heat transfer from the surface of the copper base plate, this ensures the maximum surface area affected increasing cooling efficiency. 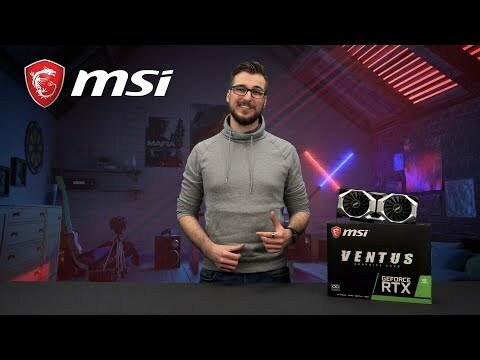 MSI GeForce RTX 2070 VENTUS 8GB GDDR6 Ray-Tracing Graphics Card, 2304 Core, 1410MHz GPU, 1620MHz Boost is rated 5.0 out of 5 by 2. Rated 5 out of 5 by Solidus from Great Card Good rtx 2070 for your money. Card looks nice and clean, nothing fancy just 2 fans. Rated 5 out of 5 by NickC123 from Works flawlessly out of the box, recommended. The main thing is it worked first time on both Windows and Linux. Things could always be cheaper but I'm very happy with my purchase, it's been installed for a few weeks with zero problems. I can hear the fans when it really gets going but that's no problem, it's not as loud as the other fans in the case. Recommended.